Chase Ultimate Rewards is the 5th best credit card rewards program, according to the top nine issuers’ cards, rules, limitations and assorted perks. Once known as Chase “Flexible Rewards,” the Ultimate Rewards program features some of the most popular credit cards on the market, including the Chase Sapphire Preferred® Card and the Ink Business Preferred℠ Credit Card. Some Ultimate Rewards cards offer cash back. Others provide Ultimate Rewards points, which are generally worth 1 cent to 1.5 cents apiece, depending on which card you have and how you redeem. And there are plenty of redemption options, from a statement credit to travel booked through Chase. You can learn everything else you need to know about Chase Ultimate Rewards below. 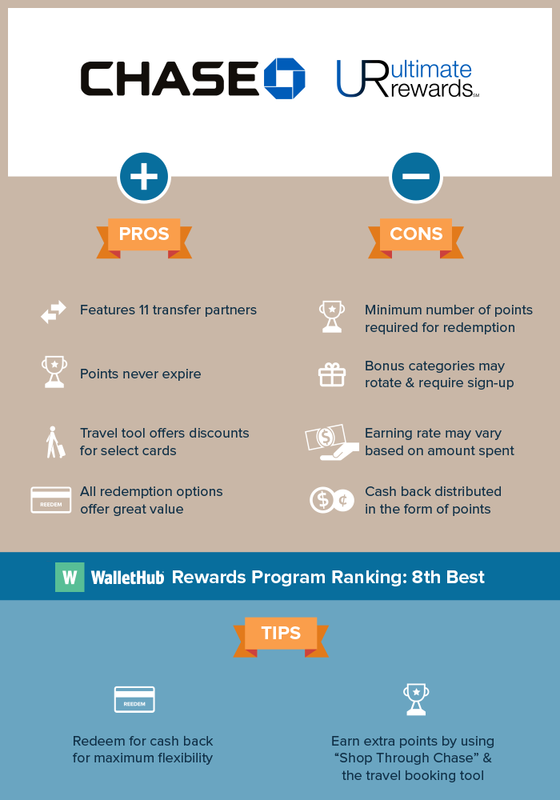 This includes tips for how to get the most value when you redeem, a list of Ultimate Rewards transfer partners and WalletHub’s picks for the best Ultimate Rewards credit cards. If you’re in the market for a credit card but aren’t sure which offer is best for your needs, sign up for a free WalletHub account. We’ll give you a personalized credit card recommendation, plus your latest credit score and report. Chase has discontinued some of its Ultimate Rewards credit card offers over the years. So while some people may still have these cards, they’re not available to new applicants. No matter which Ultimate Rewards credit card you have or how you use it, you’ll get least one point in return for every dollar you spend. But there are many ways to earn more. And there’s no limit on how many points you can earn. Pick the Right Card & Use It Wisely – Some Chase cards offer bonus points if you spend a certain amount within a few months of account opening. Others reward you more for purchases in certain spending categories. And a few combine the two. Your job is to find a card that complements your particular needs. Use “Shop With Chase” – Each dollar spent through one of the participating merchants can yield up to 20X the points. In other words, you could get 20 points per dollar spent as a base rate.When you sign into the Chase Ultimate Rewards mall to use the shopping portal, you will be given a list of retailers you can shop at. When you click on them, the portal merely takes you to the merchant’s website. So Chase isn’t trying to scam you by offering raised prices. You’re simply paying the prices set by the merchants themselves. Pooling Possibilities – You can transfer points from one Chase Ultimate Rewards card to another, free of charge, as long as both cards belong to you or someone in your household. Rewards Currency Confusion – Ultimate Rewards is a purely points-based rewards program. You will not earn miles or cash back with any of the participating cards, even though some – the Freedom Card, for example – advertise the ability to do so.You can, however, redeem your points for travel or cash back. Travel redemptions can be done either through Chase’s booking tool or by transferring your points into the loyalty program of one of Chase’s transfer partners. Cash back redemption can take the form of either a statement credit or a deposit directly into a checking or savings account. Rotating Bonus Categories – Certain Chase credit cards – such as Chase Freedom – offer bonus points in spending categories that change on a quarterly basis. For example, you might get 5X the points on dining one quarter and 5X the points on gas the next. This can be tricky because you have to sign up for or “activate” these categories in order to earn bonus points. Plus, you only earn bonus rewards on a certain amount of spending each quarter. Rewards Vary By Amount Spent – Select Chase cards, such as the Ink Bold Business Card (no longer available to new applicants), have varied earning rates depending on how much money you spend. For example, the first $1,000 spent might give you one point per dollar, but the amount spent after that threshold might give you two points per dollar. As you can see, Ultimate Rewards points are worth a penny apiece in most cases. But there are exceptions. Sapphire Preferred and Reserve give you a bonus – 25% and 50% respectively – when you redeem for travel on Chase’s booking portal. And values vary when you transfer points to an Ultimate Rewards travel partner. For example, an Ultimate Rewards point translates to 1.79 cents if transferred to the Southwest Airlines Rapid Rewards program. But you only get 0.92 cents per point, on average, when you transfer your earnings to one of the hotel partners. Fair Travel Prices & No Date Restrictions: Chase’s travel booking tool has no blackout dates or restrictions. Prices for hotels, flights, car rentals, etc., also tend to be similar to those on other travel booking websites. Featured Experiences: You can redeem your Ultimate Rewards points for things like film festival packages, private dining opportunities and backstage meet-and-greets at concerts. Dollar prices for these experiences often aren’t available. So we did not include them when calculating point values. No Minimum Threshold: You don’t need a certain number of Ultimate Rewards points to redeem for cash back. You can redeem for as little as 1 cent. Limitations on Items: When you “Shop With Points” on Amazon.com, Mp3’s, Kindle downloads, games and software downloads are off-limits. So are Prime memberships and AmazonFresh purchases, among a few other things. Chase Ultimate Rewards has 13 transfer partners, to which certain cardholders can send their Ultimate Rewards earnings for direct booking. Transfers are done at a 1:1 ratio – one Chase rewards point for one United Airlines mile, for example. But you can only transfer 1,000-point increments. Transfers are generally processed in one business day, but it can take up to five business days in some cases. All transfers are irreversible. Now that you know the details, it’s time to put everything in perspective. Here are the Ultimate Rewards program’s strengths and weaknesses, as WalletHub’s editors see things. You can also see what they consider marketing “fluff,” which you can pretty much ignore. Transfer Partners – 13 travel partners give the Ultimate Rewards program added versatility. 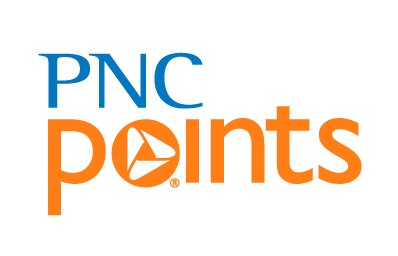 No Earning Cap or Expiration Date – Your points don’t have an expiration date or a maximum earning ceiling. 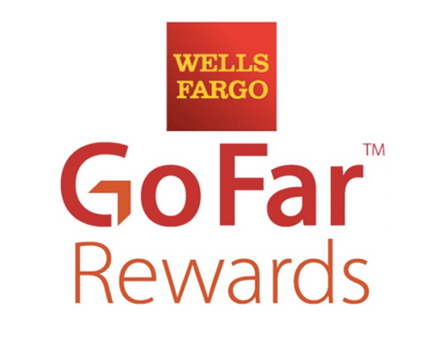 Fair Cash Back Redemption Rates – Ultimate Rewards gives you one cent per point. That’s about the average for credit card rewards. “Shop With Chase” – This can yield up to 20X the points. Plus, prices are pretty similar to what merchants charge. 20% Travel Discount for Select Chase Credit Cards – Chase Sapphire Preferred, and Ink Business Preferred, give you a 20% discount on travel booked through Chase. That means each point is worth 1.25 cents, instead of just one cent. And Chase Sapphire Reserve and J.P. Morgan Reserve’s points are worth 1.5 cents each. Limitations on Travel – To redeem for travel, you must either use Chase’s booking tool or transfer your points to one of its travel partners’ loyalty programs (if you’re eligible). In contrast, some of the best travel credit cards from other issuers let you pay for any travel purchase with points or miles once they post to your account. Restrictions on Transferring Points – Points can only be transferred to cards within the Ultimate Rewards program that are owned by you or a member of your household, or to travel partners’ loyalty programs. 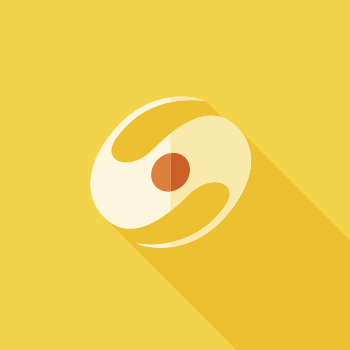 Cash Back is Earned in the Form of Points – You never truly earn cash. You can only redeem for it. This puts you at risk of rewards devaluation. For example, one point might yield one cent now, but later on it might only yield 0.9 cents. No Extra Value for Gift Cards or Shop with Points – You get the same dollar value for your points when you redeem them for cash back, gift cards and merchandise from Amazon.com.But cash is inherently more valuable because you can use it for anything, even to shop on Amazon.com or purchase gift cards later on. So when in doubt, redeem for cash back. Now that we’ve shown how Chase Ultimate Rewards scored with our grading criteria, let’s take a look at where it stands in comparison to the other rewards programs on the market today. Well, judging from our table of rankings below, it looks like Chase comes in at fifth place. Note that we will keep adding to our rankings list as long as we continue to review more programs. Chase Ultimate Rewards received 13.51 points out of a possible 22 in WalletHub’s review. You can find the rubric we used below. These same criteria have been used to evaluate all of the major credit card rewards programs.